UAE-based Emirates Central Cooling Systems Corporation (Empower) has announced that it has secured a syndicated loan of Dh1.5 billion ($408 million) through a group of local, regional and international banks to finance its upcoming projects. These include Citibank, Emirates NBD, Standard Chartered, Mashreq and Samba Financial Group. The repayments are scheduled to be made in half-yearly instalments, said the company in a statement. 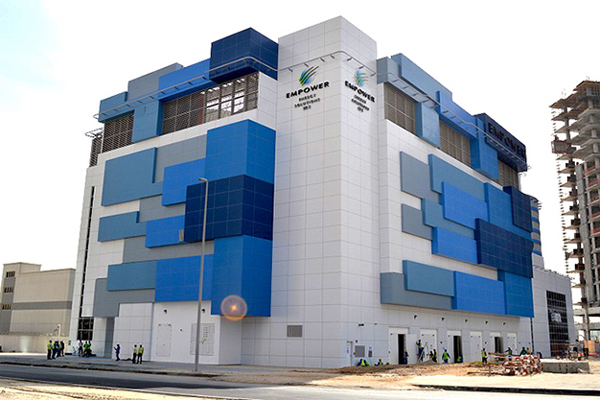 This loan will be used to expand the capacity and district cooling infrastructure in various projects, including Jumeirah Village South, International Media Production Zone, Business Bay, Barsha Heights, Deira Waterfront Development and others, it added. The banks have a significant appetite for businesses with robust performance, and as a result, Empower’s loan was oversubscribed by more than 3.5 times, which clearly indicated the confidence that banks had in the company, said Ahmad bin Shafar, CEO of Empower, at the signing ceremony. The deal was inked by Elissar Antonios, CEO of Citibank; Ahmed Al Qassim, Executive VP and General Manager Corporate Banking of Emirates NBD; Rola Abu Manneh, CEO of UAE Standard Chartered; Ahmed Abdelaal, Executive VP and Head of Corporate and Investment Banking Group of Mashreq and Manbir Dhillon, GM and Country Head of Samba Financial Group Dubai. Bin Shafar stressed that bank financing for district cooling projects contributed to enhancing energy efficiency, thus reducing CO2 emissions.